Wellington has a population of about 61,500 and it's found in Palm Beach County, Florida. It's considered a village and often referred to as the "Village of Wellington". The in-land location is very close to many of the top beaches found north of Miami. The village is considered a part of the South Florida Metro area, which has about 5.6 million residents. It was also named to the list of the Top 100 Best Places to Live in 2010 by Money Magazine. Along with the residents in the area, many visitors come to South Florida to enjoy the sunshine, beaches and attractions every year. It's a popular area for snowbirds in the winter and peak season brings millions of people to the Metro area. This can make the roads rather crowded and make it hard to drive safely throughout the area. US 441 and US 98 border Wellington and serve as the main road for the area. Both these highways get very busy, especially during peak season. Florida's Turnpike is also found as a border for the city. Interstate 95 runs through Palm Beach County and carries about 186,000 vehicles every single day. The most deadly highway in the United States based on fatalities is the section of I-95 found in Florida. More than 15,000 traffic accidents occur in Palm Beach County every year resulting in more than 150 fatalities. Traffic crashes throughout the South Florida area are on the rise. Authorities have no choice but to issue tickets to those breaking the traffic laws. If they just let drivers get away with speeding, running red lights, careless driving and other infractions, the accidents stats would skyrocket. More than 125,000 traffic tickets were received by drivers in Palm Beach County for 2015. Careless driving is the number one reason for accidents in Florida and over 7,500 drivers were ticketed for careless driving. Another 70,000+ received tickets for speeding, which is another dangerous offense. Judges in the county only dismissed 15% of the total number of tickets. You don't have much of a chance of getting out of your ticket. The last thing you need is a suspended driver's license. How will you get to work or to the store or anywhere else? Cabs become expensive and sooner or later friends get sick of giving you rides. 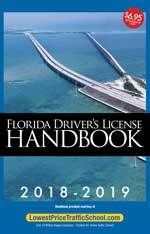 If you receive too many tickets in a short amount of time, the State of Florida will suspend your driving privileges. Get 12 points on your license in 12 months and you start with a 30-day suspension. Keep breaking traffic laws and you could earn a suspension of a full year. Every ticket comes with points, which range from 3 to 6 points. Most traffic tickets are either worth 3 or 4 points. However, if you cause an accident while speeding or leave the scene of an accident with $50 or more of damage, you will get a ticket with 6 points. It doesn't take more than a few tickets to rack up the points and be left wondering how you'll get around. 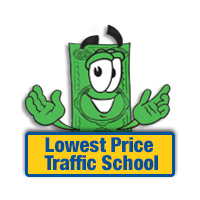 You may be eligible to enroll in the basic driver improvement course from online traffic school in Wellington, Florida. This course can be taken from your home, at your convenience. Once completed, it will erase the points from a recent traffic ticket. You will need to pay the fine associated with the ticket and let the clerk of the court know you will enroll in traffic school. Then, just take the course, pass the test and get your certificate of completion. Don't forget to turn the certificate into the clerk of the court so that you can keep your license clean. Not only will this eliminate the points from the traffic ticket, but it will also keep your insurance company from raising your rates. Traffic school eligibility can always be checked with the clerk of the court. However, if you haven't taken the basic driver improvement course in the past 12 months or a total of 5 times in your lifetimes, you will be able to use it to erase points from a recent ticket. All traffic tickets issued by any branch of law enforcement in the Wellington area will be processed by the Palm Beach County Clerk of the Court. This is where you will pay the ticket, get information about the ticket and turn in your certificate from traffic school. If you need more information about the Palm Beach County Clerk of the Court, you can find it on their website.